I've been sitting here with the blog post window open for at least half an hour, now, and for all that time it's remained blank. Much like with my movie blog, I'm trying to get into a regular schedule of at least three posts a week so I don't neglect my blog whilst studying. So, for now...more instagram photos. As some of you pointed out last time, when I said it might get a bit repetitive, not everyone follows me/can follow me on there and even those who do may not see everything I post! I'm still not sure how I feel about these posts and I think it may just be time to reassess what I want out of this blog overall. But those thoughts for another time (or, well, they may just stay private). But what have I been doing since my last Instagram round-up? I joined a doll club. I haven't talked about it much but I went to my first meeting and it was a bit weird but it's nice to be around people who also collect and who will be great sources of knowledge for me. My girl is in the back in tartan - this is her 'back to school' look. The cover of a mixtape I made many years ago. Which I'm posting so I can post a link to my 8tracks for anyone who may be interested in listening to the mixes I make. 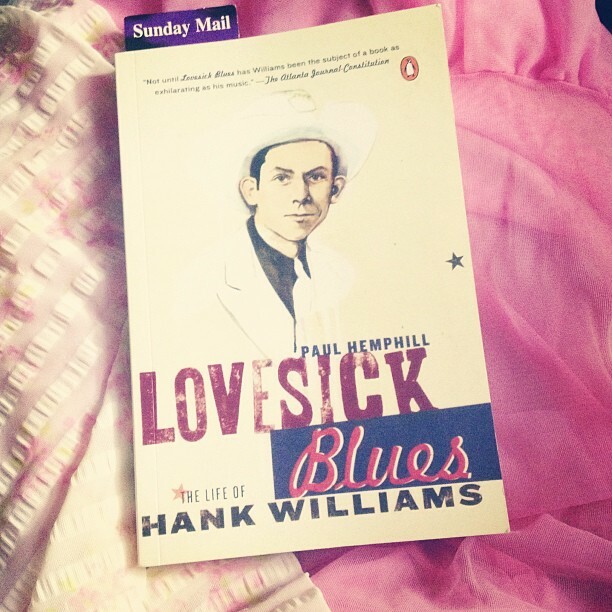 I read this book on Hank Williams. It's very good. I knew very little about Hank before and it was a very interesting read. I have a lot more to say on the book but not sure it fits into this post. 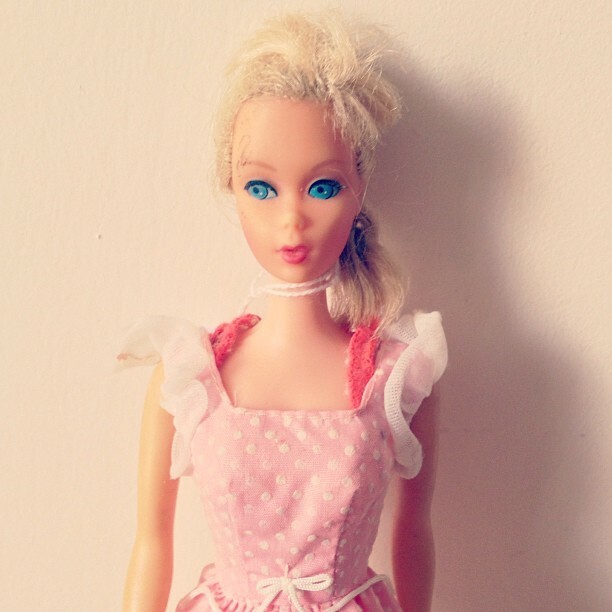 I found my oldest Barbie to date (in terms of op-shop finds) - she's going to need her hair and eyelashes rerooted but even with those issues paying $1.50 for her was an incredibly good bargain. An outfit that never made it to the blog. I've since dropped that necklace behind a cabinet and I shudder to think of the dust behind it so, for now, I'm pretending it doesn't exist. Ha. Another outfit that didn't make it to the blog. I love pink and dark green together. 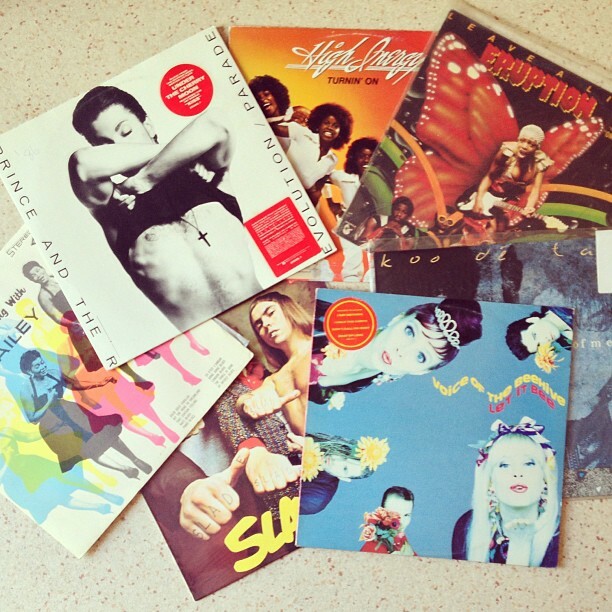 Did some record shopping. There was a little record 'fair' on and there were so many records packed into one room that I felt overwhelmed. I just came away with these as most were out of my budget and all of these, with the exception of the Slade LP, were 3 for $10. I've been listening to a fair bit of disco lately so I was pleased to find the Eruption LP. I've another of their records and I love it. Oh and, I know it's not a clear photo, but how great is the cover of the Pearl Bailey record? (On the left). 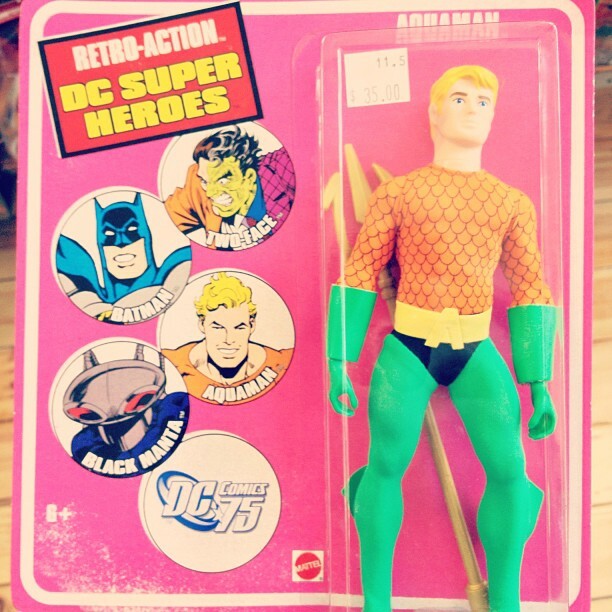 I found (but didn't buy) this Aquaman 'retro' figure and now I'm determined to find the Batman...at a price I can afford. I've found a few but they're a little out of my price range at present. 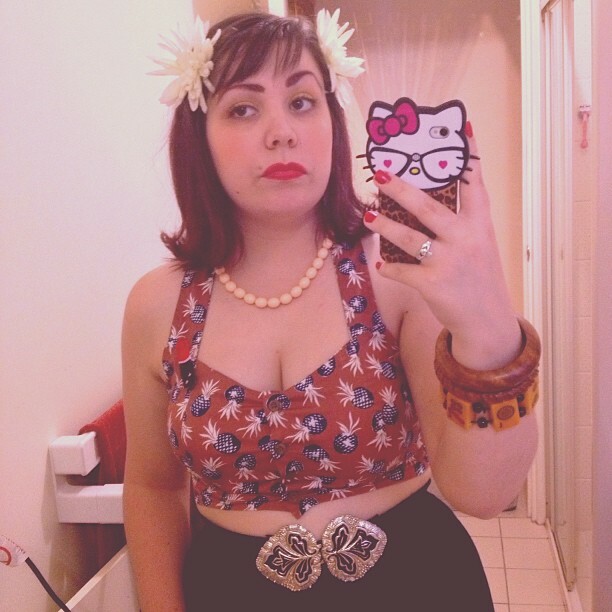 A recycled outfit that didn't make it to the blog. Oh, and for anyone who didn't notice (which was nearly everyone) my hair is red again! 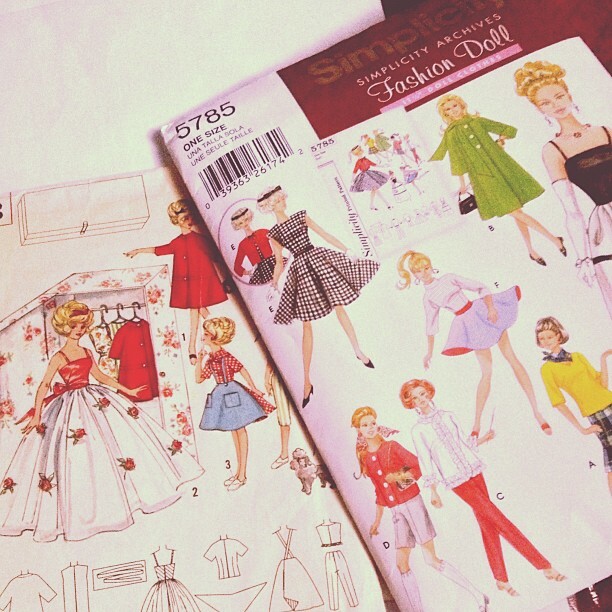 Related to the first photo: there is a Barbie convention here in August and I'm planning outfits to make for the dolls I want to enter in the various competition categories. I know it's a while off but can never start plans too early...right? As always, I'm andibgoode on instagram. 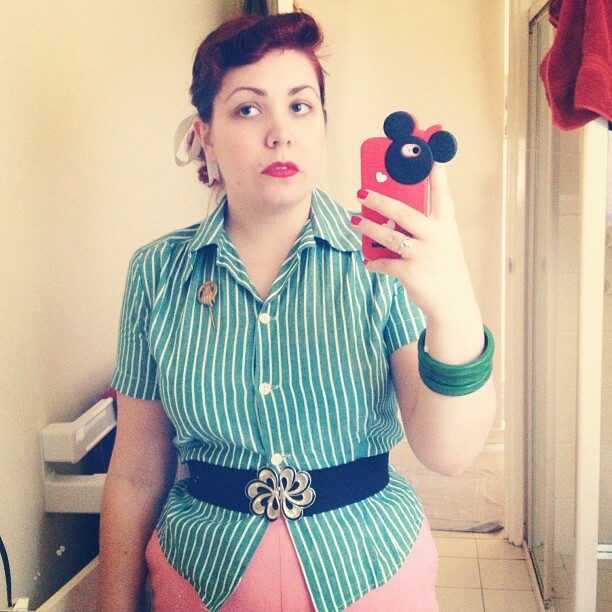 Love the color combo of the outfit with the striped top! 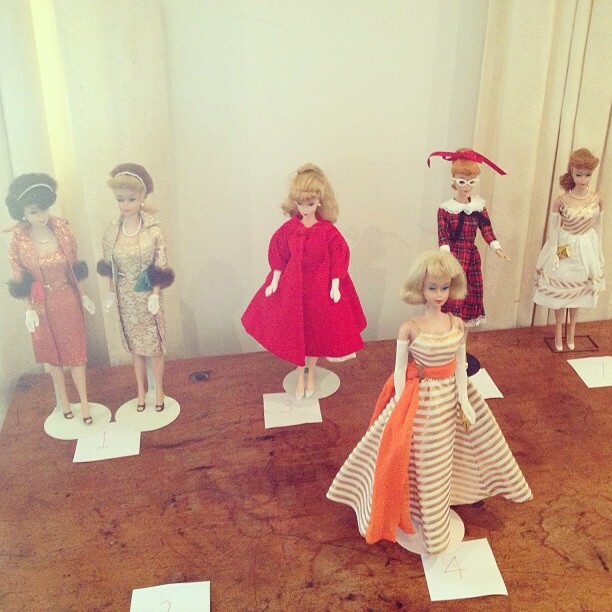 Aw, thank-you :) She's actually a TNT Barbie from 1967 but she is wearing Sweet 16 Barbie's dress! And you're welcome. Glad to have brought a nice memory back for you! 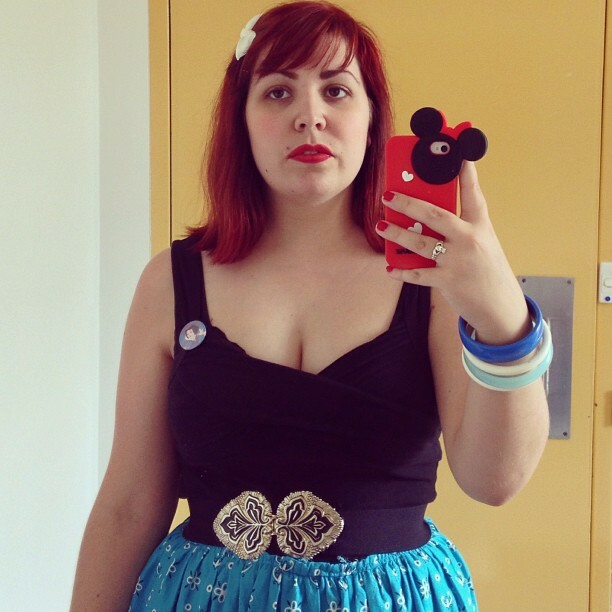 You have such cute outfits!And don't feel bad,I think I blog only once or twice a month now...I'm lazy and instagram is just easier most of the time. Love the Barbie! I have a Bubble Cut and I love to dress her up!